To communicate the good news of Jesus to all people through football. Ambassadors Football’s vision is to serve the local church, inspiring and equipping it to build Christ-centred relationships through football. 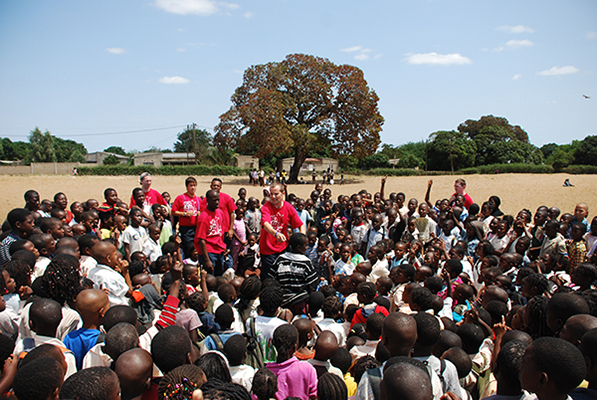 By 2020 we want to serve 500 churches through football in their disciple-making mission. We are currently serving 325 churches. Church: We uphold the long-term, transformative role of the Church in the world. Service: We follow the example of Jesus by leading through service and prioritising the marginalised. Team: We identify and collaborate with others in the pursuit of shared goals. Football: We participate in football at all levels with passion, excellence and respect. Innovation: We encourage innovation and creativity in all aspects our work. Training churches: We believe in local church and want to train them to transforms lives and communities. 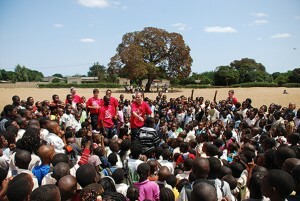 Football outreach: We train and run community football projects with the local church. Events & Tours: We run events and tours to support community projects and all individuals to reach their full potential. Football is played all over the world and has the power to bring people together, to break down barriers and build friendships to enable us to share faith and support.